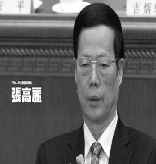 Zhang Gaoli (1946- ) is the former secretary of Shandong Provincial CCP Committee, a current member of the CCP Central Politburo Standing Committee and the Vice Premier. Since July 1999 when Jiang Zemin set off the persecution of Falun Gong, Zhang Gaoli closely followed Jiang's genocidal policy against Falun Gong, which is to “ruin their reputation, bankrupt them financially, and eliminate them physically.” Zhang Gaoli carried out the persecution in Guangdong province, Shenzhen, Shandong province, and Tianjin, causing tens of thousands of Falun Gong practitioners in these areas to be illegally kidnapped, detained, and sentenced. Massive number of Falun Gong practitioners are tortured, resulting in injury, disability and death. Zhang is suspected of committing the Crime of Genocide, the Crime of Torture and Crimes against Humanity. WOIPFG hereby issue this notice of investigation to thoroughly investigate Zhang's involvement in the persecution of Falun Gong. We call upon those who possess evidence of Zhang Gaoli’s crimes to contact WOIPFG immediately. The following is partial evidence of Zhang Gaoli’s involvement in the persecution. As of 2004, based on incomplete statistics, the total number of Falun Gong practitioners persecuted to death was over a hundred in Shandong, ranking the third in China. Taking the prefecture-level city of Weifang for example, during the first ten years of the persecution, the number of practitioners persecuted to death was 95 and the period of 2001-2005 was the peak. This makes Weifang the prefecture-level city with the most number of death in the country. Being the governor of Shandong Province, Zhang Gaoli must be held accountable for the crimes.